At Silivhere Technologies, Inc., everything we do starts with the belief that safe drinking water is imperative to human health. For millions of people who don’t have safe water, we have developed a simple water treatment technology to positively impact human health and quality of life. Our mission at Silivhere Technologies, Inc. is to design, develop, and manufacture affordable drinking water treatment technologies to improve global health. Our company is structured to ensure that we are making it possible for everyone to have safe drinking water. The roots of the MadiDrop+ began in 2007 at the University of Virginia. Dr. James Smith was studying the performance of silver-embedded ceramic water filters in both laboratory and field settings. Extending his work in Limpopo Province, South Africa, Dr. Smith conducted a human-health study of 100 HIV-positive individuals and established a ceramic filter factory operated by a group of local women potters in the Venda region of Limpopo Province. This work led to the establishment of PureMadi, a non-profit foundation associated with the University of Virginia Alumni Association. Today, PureMadi continues its student-based economic development efforts through the creation of ceramic water filter factories. In 2009, having demonstrated the performance capabilities of ceramic and silver ions, Dr. Smith and his research team focused their efforts on a new and innovative point-of-use water treatment product. 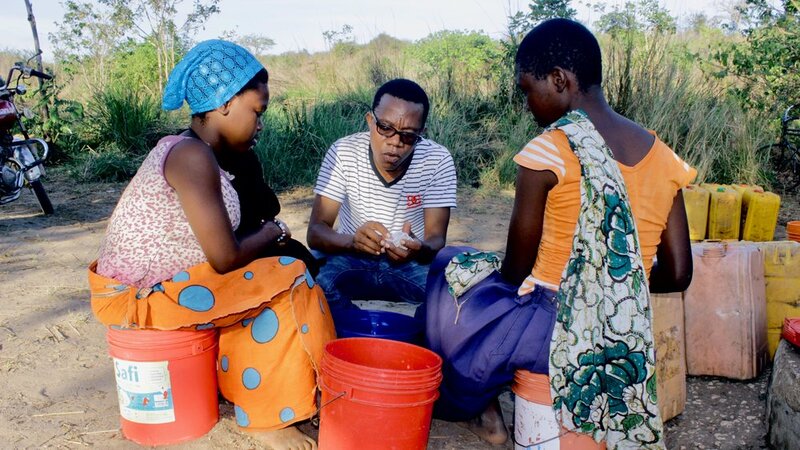 After three years of intensive research and development, tens of thousands of water analyses, and experiments spanning several years in rural South African and Tanzanian households, they developed the MadiDrop tablet. The MadiTrial is a 400-household randomized intervention with a control in rural South African villages. This project, which ran from June 2016 through July 2018, was funded through federal research grants and is sponsored by the University of Virginia. The principal investigator for this study – the most extensive study to date about the MadiDrop technology’s efficacy – is Dr. Rebecca Dillingham. Dillingham is the Director of the Center for Global Health and a faculty member of the School of Medicine at the University of Virginia. MadiDrop performance was compared to performance of a silver-ceramic filter technology, which revealed a higher reduction of coliform bacteria (100% reduction) for families using the MadiDrop than for families using the filter. Results of the study also indicate that MadiDrops perform consistently and at a high level for 12 months or more. Using early feedback from the MadiTrial households, Silivhere Technologies, Inc. improved the silver application method used to produce the original MadiDrop and introduced the MadiDrop+. Silivhere Technologies brought the MadiDrop+ to market in the Spring of 2018. It is a small, reusable ceramic tablet that releases silver ions into water at a constant rate, eliminating bacteria such as E. coli and V. cholera, and significantly reducing the presence of viruses (eg: Adenovirus, Rotavirus) and protozoan pathogens (eg: Cryptosporidium, Giardia). Though a relatively young company, Silivhere Technologies, Inc has MadiDrops and MadiDrops+ in over 40 different countries, and has helped over 200,000 individuals access microbiologically clean water. As part of our goal to make clean water accessible to as many people as possible, we actively engage with mission groups and NGOs that provide relief to areas such as Kampala, Uganda, Debre Zeit, Ethiopia, Kibwezi, Kenya, and areas of South America. Water is a human right — In the years to come, we aim to continue to our outreach, expand our product offerings, and widen our global presence to bring safe water to the communities who need it.